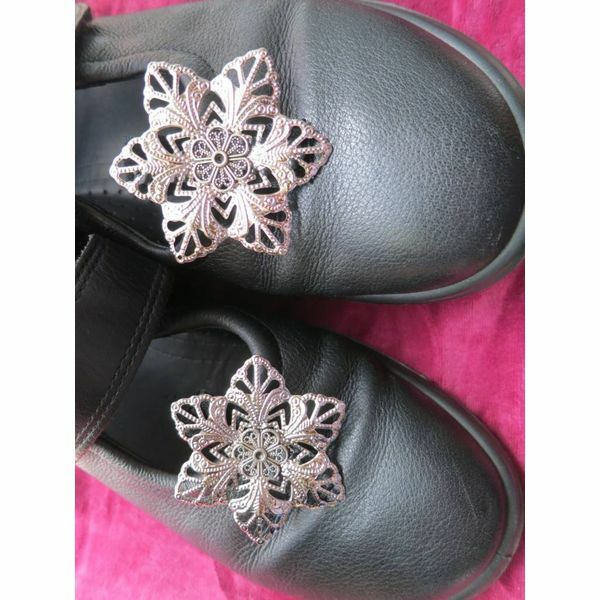 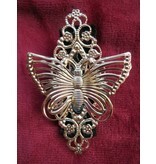 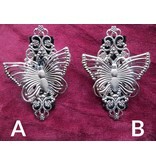 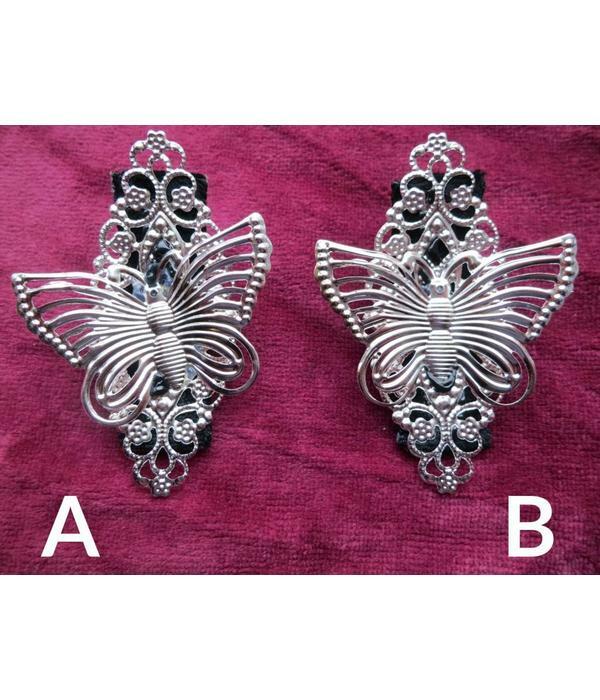 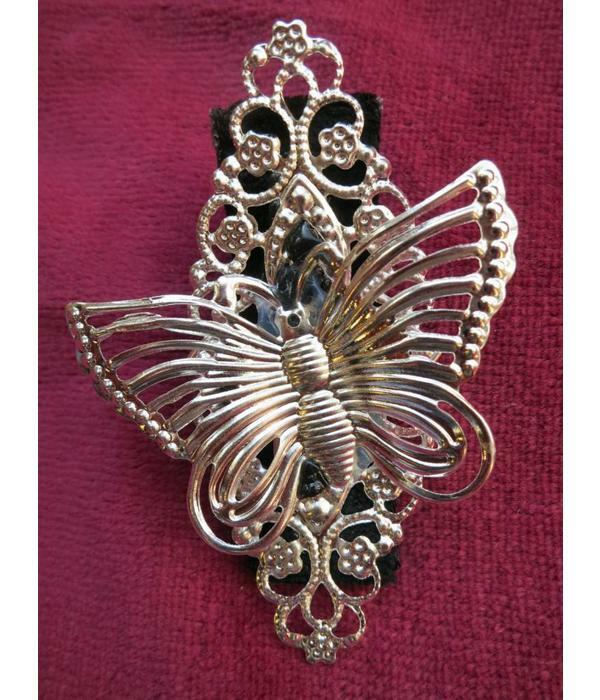 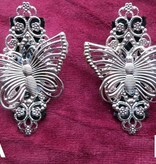 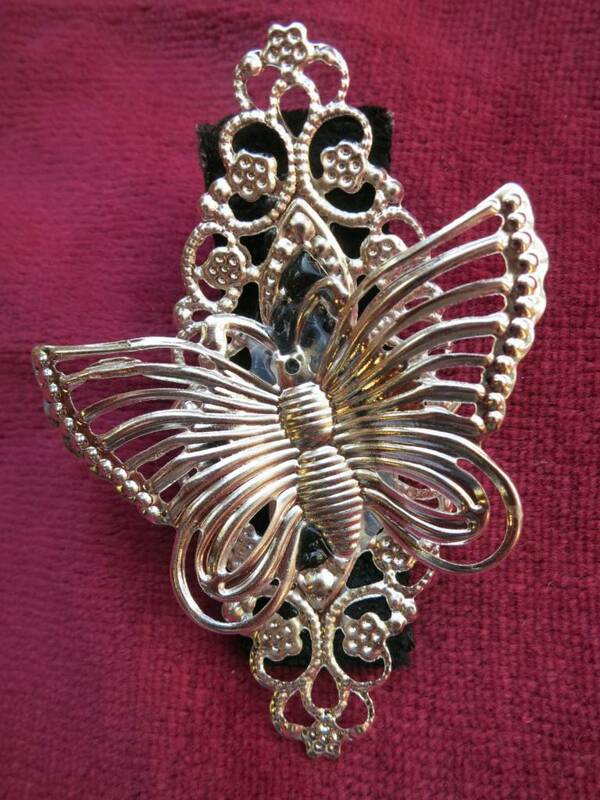 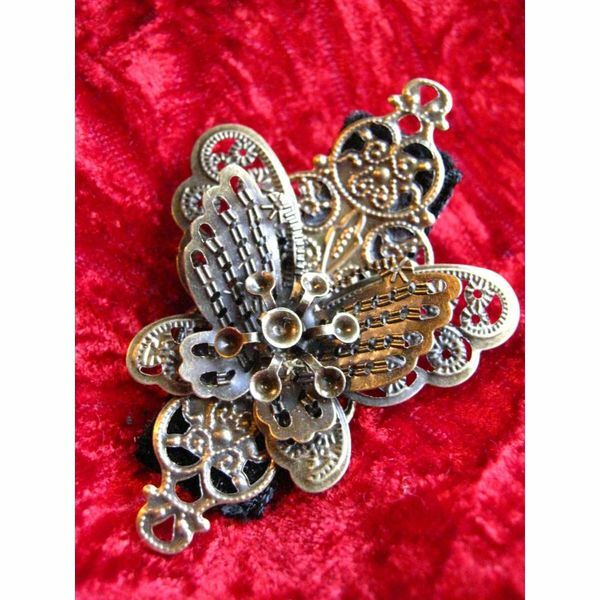 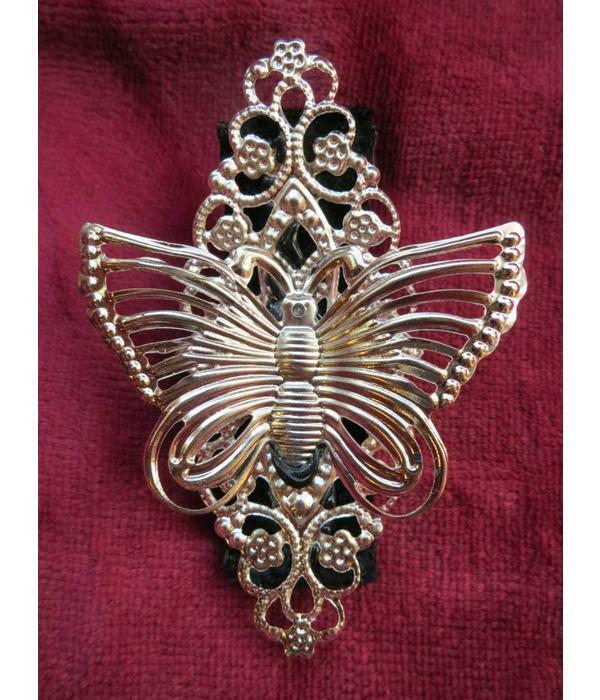 Filigree hair jewelry and shoe clip made of a silver butterfly on silver ornament and attached to a professional metal hair clip for very strong hold (minimum hair length: 5 cm/ 2 inches). 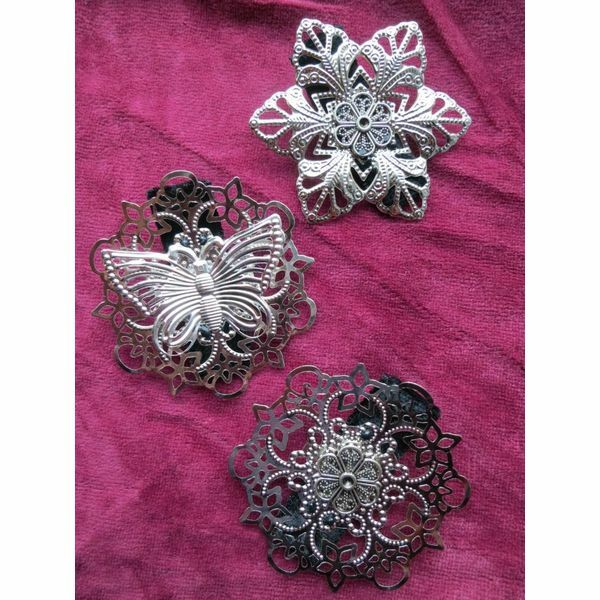 We cover each hair clip with black velvet before we attach the hair flower. 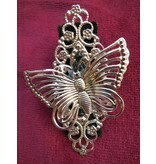 This makes this piece of hair jewelry more solid and prevents the silver-colored clip from shining through. 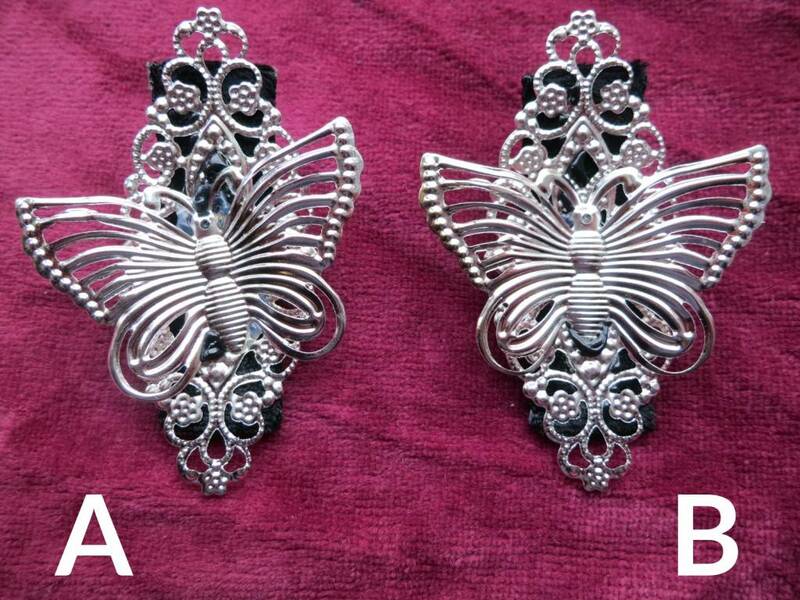 Choose between model A and B! 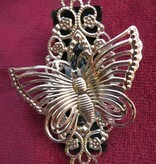 Model A = flying butterfly, the butterfly looks like moving, this piece of hair jewelry is asymmetric. 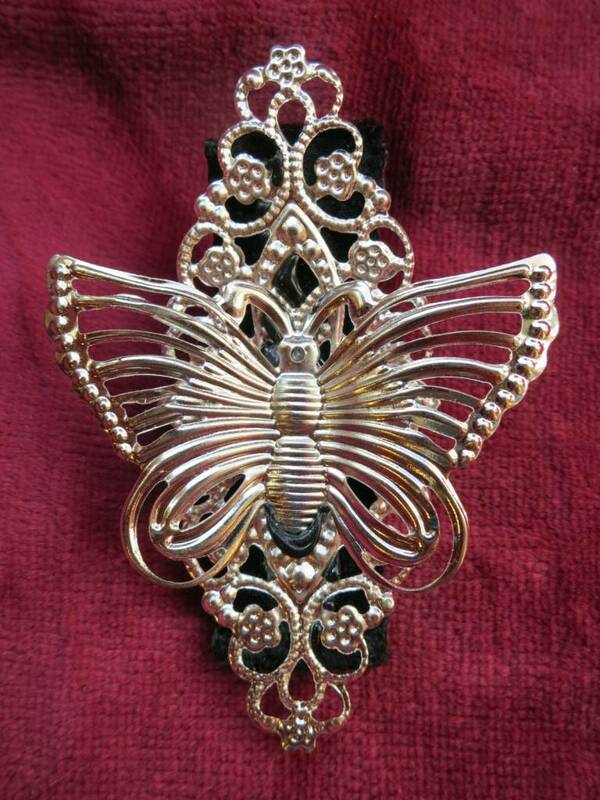 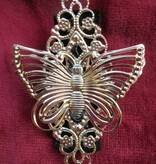 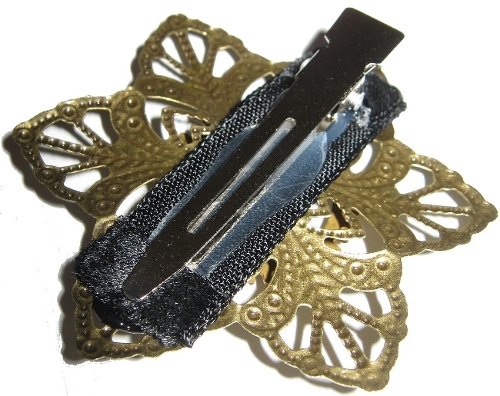 Model B = resting butterfly, the butterfly is centered on the clip, this piece of hair jewelry is symmetric. 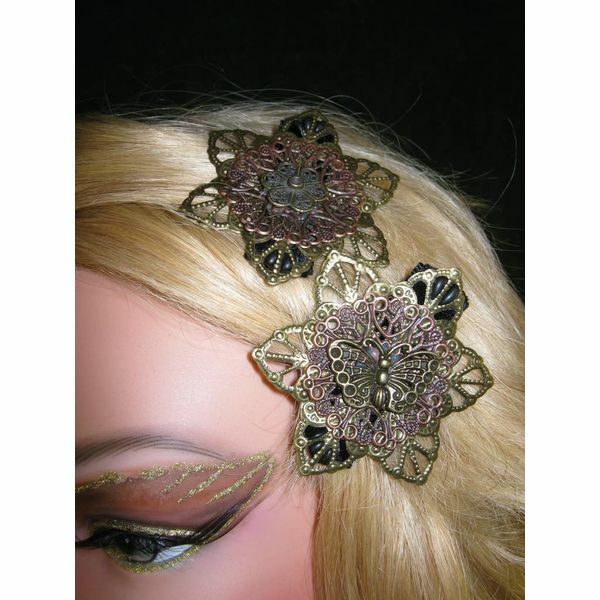 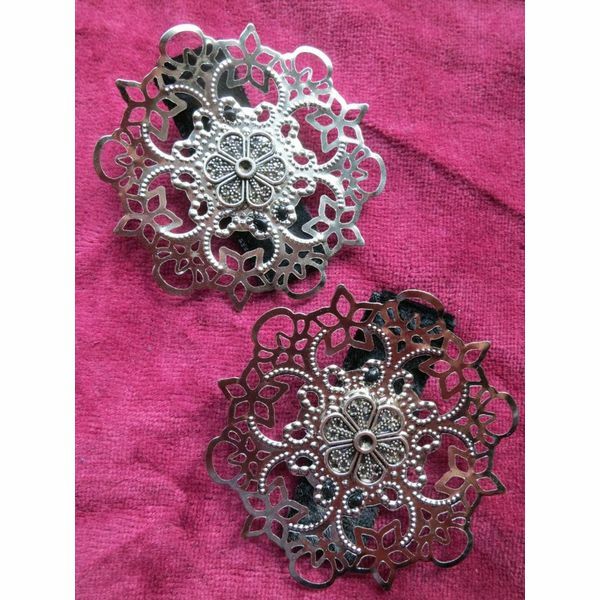 Our silver hair jewelry clips are gorgeous litte eye-catchers for every day, boho & gipsy look, for costuming and for tribal fusion and gothic belly dance!